In episode 289, Douglas Brown interviews Bob Allred, EUC Practice Manager at Right! Systems. 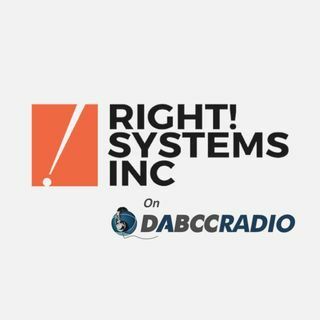 Douglas and Bob discuss the current state of the End-User Computing market, workspace transformation and what that means to Right! Systems and their customers plus much more. Since 1993, Right! Systems Inc. has provided business-driven, multi-vendor IT solutions to clients worldwide. Drawing on deep industry expertise and a portfolio of interrelated consulting, application, ... See More and infrastructure services, our solutions can help you gain control of your enterprise-wide technology, increase productivity and end-user satisfaction, refocus talent and energies on your core business, and decrease total cost of ownership. Our ability to provide solutions that adapt to our customer’s ever-changing markets begins with a collaborative effort that allows you to seamlessly integrate technologies to meet your changing needs. As a leading technology services company and a comprehensive provider of consulting, integration, procurement and support services, Right! Systems professionals are there every step of the way. We work directly with you to provide insightful analysis and industry-specific counsel on strategy, best-practices, technology and management; from the design phase through implementation and beyond you can be sure we have a solution that will work for you. Bob heads up the EUC Practice Manager at Right! Systems. Bob has worked for Right! Systems for over 10 years and before that spent 7 years with Catholic Health Initiatives. Bob holds the following certifications, Citrix CCE-V, CCP –Mobility, CCP-Networking, Citrix Specialist-Virtualization.